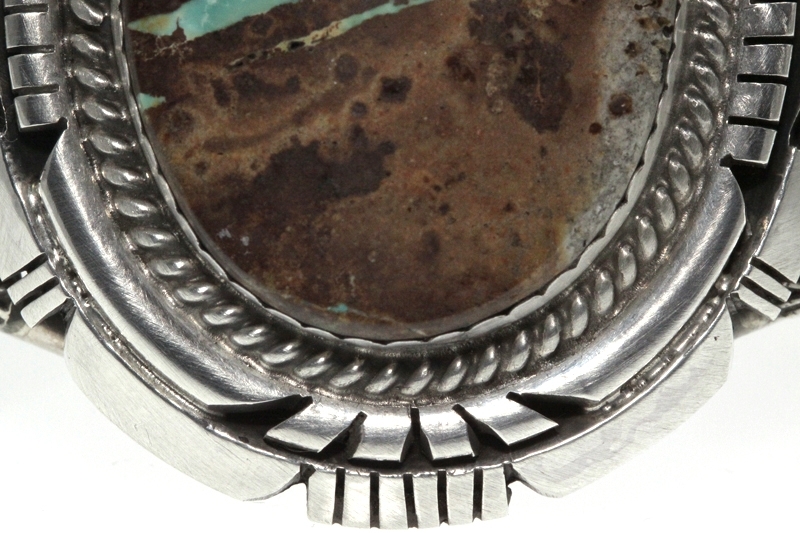 Boulder ribbon turquoise gemstone housed in a scalloped bezel. Steeped silver work surround, hand saw-cut edges & twisted silver wire. Traditional stamped silver badge & appliqued drops. 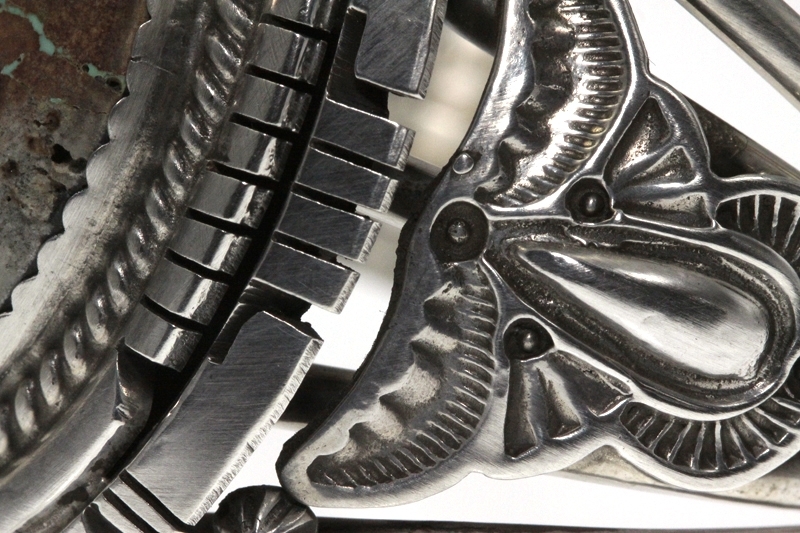 The inside measurement is 7″ (including gap 1 1/2″) Cuff can be adjusted slightly and gently.